4 oz corrosive sublimate 1 drachm perman ganate of potash to a gallone of water. 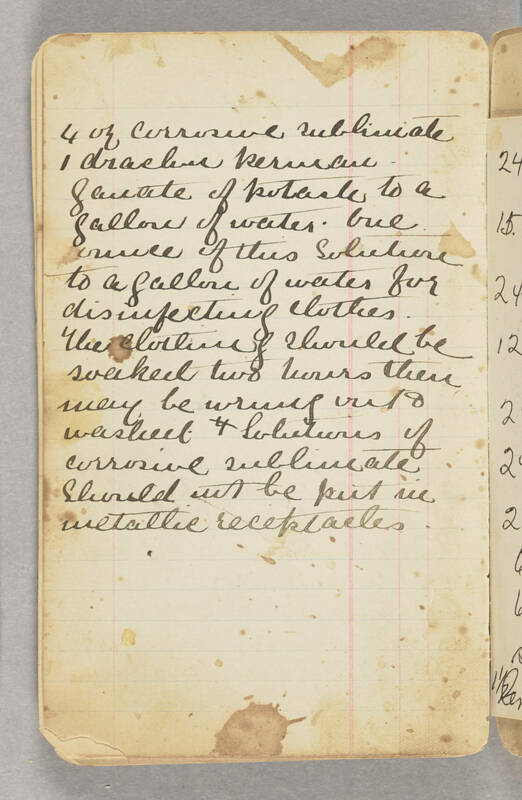 One [illegible] of this solutione to a gallone of water for disinfecting clothes. The clortineg should be soaked two hours there way be wrung out & washed. 4 [lohatures] of corrosive sublimate should [sut] be put in metallic receptacles.